B&W Paving A History of Quality! Hire B&W Paving for your next project! Serving: Naples, Marco Island, Bonita Springs, Fort Myers, Sanibel and Cape Coral. Choose B&W for all your paving needs! B&W Paving Contractors is owned and operated by Charles Willey who has more than 25 years experience in the paving industry. New Construction | Parking Lots | Driveways, ETC. 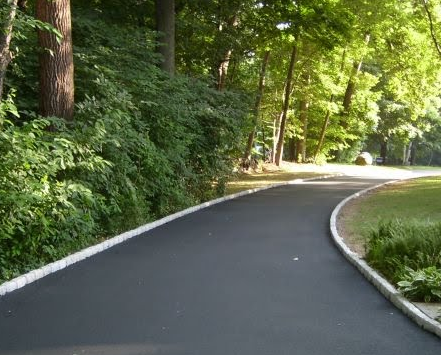 B&W Paving has paved more asphalt driveways in Naples than any other contractor, bar none. 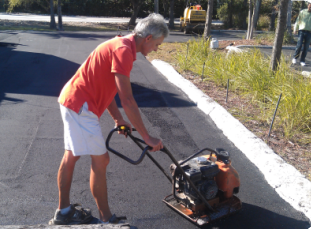 B&W Paving Contractors of SW FL, Inc. has been in business since 1997 and has aquired the skill to complete all types of paving: from residential driveways to roadway paving in Home Owner Asssociations to commercial parking lot paving and Sealcoating. B&W Paving has installed over 1 million tons of asphalt in SW Florida all the while maintaining a focus on quality. When you hire B&W Paving, you are hiring licensed professionals. There are many weekend pavers and out-of-town contractors who will not stand behind their work, but B&W Paving is local and is committed to customer satisfaction. 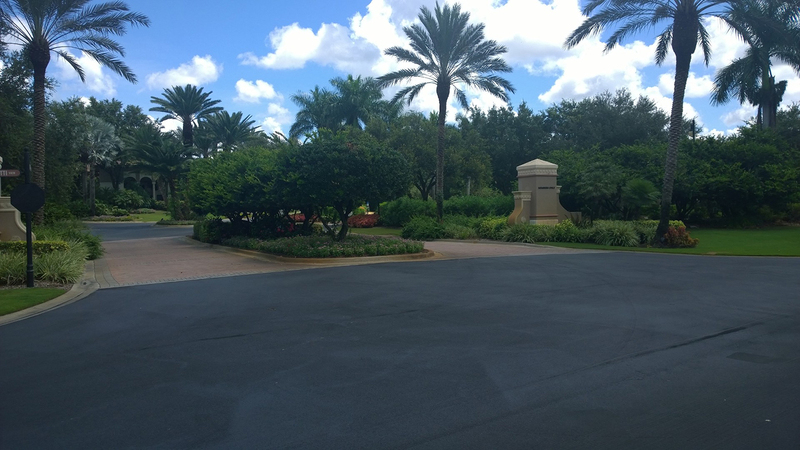 Sealcoating is an essential part of pavement maintenance, especially in Florida where sun and water degrade and oxidize asphalt pavement. Studies have shown time and again that regularly sealed asphalt pavement lasts longer, shows less cracking, and is cheaper to repair when problems do occur. While Sealcoating may look simple, there are many factors that must happen in order to achieve a successful result. Firstly, the proper product must be used. A polymer-reinforced sealcoat is the best choice for Sealcoating asphalt because it has the strongest bond with the pavememt and lasts longer than any other type of sealcoat. Secondly, the blend of products used in Sealcoating is critical. B&W follows the strict manufacturer guidelines regarding mixing of sealcoat materials. For example, B&W adds no more water to the sealer mix than what the manufacturer specifically states. Unfortunately, many fly-by-night Sealcoating contractors choose to use much more water than is recommended in order to save money. B&W discourages this practice and urges customers to only use established and reputable local firms for any and all Sealcoating. Thirdly, the method of application is important. B&W Paving uses quality equipment that puts out an even and consistent spray pattern. B&W Paving hand-edges all transition areas and areas around buildings, while spraying a minimum of 2 coats on large parking areas. With so many contractors to choose from it can be challenging trying to select the right one. Furthermore, the potential downside of choosing the wrong contractor can be enormous: lost money, lost time, damage to property, lawsuits due to injuries without insurance coverage, and more. B&W Paving suggests the following tips and ideas to help you narrow the field and choose the right contractor. Above all else, choose a licensed paving or Sealcoating contractor. Licensed contractors have passed certain requirements and are required to meet minimum standards. Insist on being provided with a certificate of insurance coverage. All reputable contractors have insurance coverage. The risk to your finances is substantial if an uncovered worker is injured on your property. Always choose a local contractor; local contractors are a part of the community and value their reputation. An out-of-town contractor makes up their travel expenses by uses cheaper Sealcoating materials and performing shoddy work. Request references, good contractors are proud of the work they have done and want you to be their next good reference. Do not hire a "no name" contractor that does not have any decals or logos on their paving equipment. This can indicate a desire to not be identified by code enforcement or police. Do not hire a contractor whose prices are very low compared to other contractors, there is a good reason for those low prices: shoddy materials or a plan to "find" problems once the work has begun. 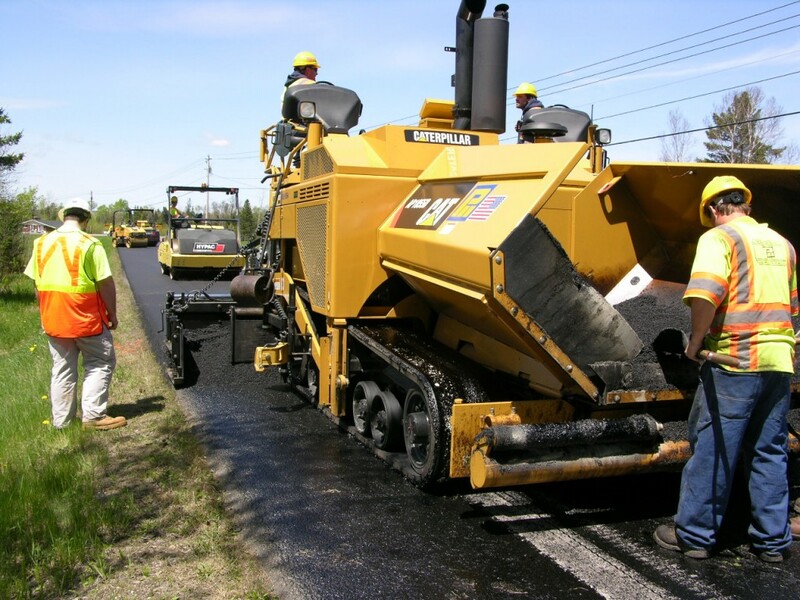 Be aware of any variation of the line, "We are doing a job nearby and have some leftover asphalt we don't want to let go to waste. We can pave your driveway right now...". This is designed to make you choose right now without comparing prices. You are guaranteed to get a bad deal. Real contractors know exactly how much material is needed for every project - their livlihood depends on it.